Kevin Maher is a tireless worker whose goal is to exceed his clients' expectations. With a big smile and firm handshake, he makes every buyer, seller, and renter he represents feel confident in his capabilities, professionalism, and well-preparedness that will help them achieve their goals. As a result of his fine work, Kevin is continually praised, thanked, and rewarded with repeat and referral clients. He provides that special kind of service that not only empowers clients with knowledge, but makes them feel nurtured and well cared for every step of the way until the perfect home is found. Kevin is a true leader, which was first evidenced in his role as the former Lacrosse Captain at Fordham University. He is originally from Westchester County, and served as a financial representative for New England Financial before turning his talents to real estate. Whether you are looking to buy, sell, or rent a Manhattan apartment, Kevin will put his years of experience to work for you to fulfill your real estate needs, and ease you through the process in the most seamless manner. 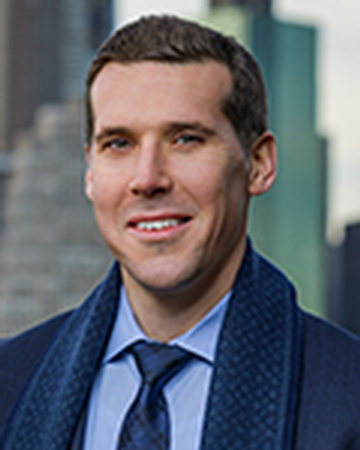 Kevin Maher is a pleasure to work with and a true professional with a wealth of knowledge, insight and expertise in the NYC market. He worked hard to assess our priorities plus provided exceptional, personalized service as he guided us through the complex NYC rental process. We only had two days to find an apartment and with Kevin’s assistance we were able to do so. We were continually impressed with his patience and responsiveness to our texts, calls or emails. He willing puts the needs and wants of his clients first to make sure they are taken care of and get the best deal. It was a pleasure working with Kevin and we would highly recommend him to all potential clients. Kevin was an absolute pleasure to work with! He was extremely hard working and was eager to help us find a place that fit our criteria within a few days. This is actually our second time working with Kevin and would HIGHLY recommend him to anyone looking for an apartment. Kevin was awesome to work with. He heard my needs and concerns and worked with me to find my dream apartment! Was always there every step of the way to answer the sometimes obvious questions of a first-time home buyer, and went above and beyond to help me through the process! We would highly recommend the services of Kevin Maher. Being first time buyers in the Manhattan market seemed very daunting however our agent guided us every step of the way and we successfully reached our goal. Not only is Kevin an exceptional agent he is a most pleasant person to deal with. We found him to be patient and answer all our many questions throughout the buying process. We have absolutely no hesitation in recommending Kevin Maher for any real estate transactions.